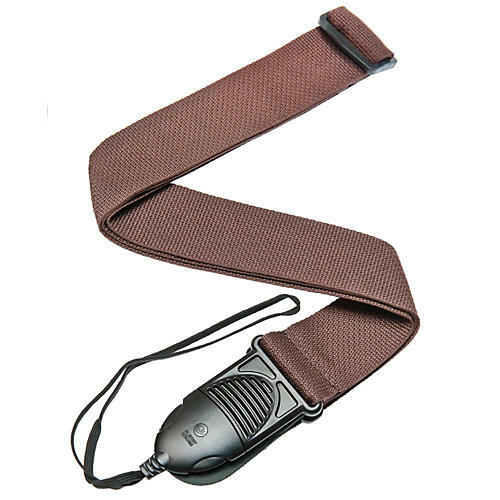 The Planet Waves Quick Release guitar strap in brown allows the player to easily disengage from the guitar. Just squeeze the quick-release and you're free: no knots to struggle with and no need to drill a second strap button into your guitar. It won't come loose during play, and the extra length of the cord keeps the guitar strap from interfering with your hand when playing near the headstock.